On January 18. 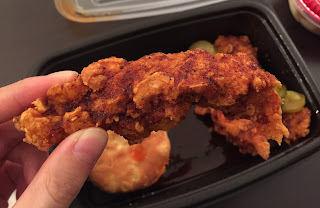 2016, KFC launched a new item called "Nashville Hot Chicken," and it's inspired by the famous dish in Nashville, Tennessee that is a fried chicken brushed with spicy oil. You can either choose the regular fried chickens or tenders, and my husband got it with Extra Crispy Tenders. "Warning; You are about to taste the best spicy chicken you've ever had." It came with 2 pouches of wet napkins with "Nashville Hot Chicken" logo. And later, I really appreciated this wet napkins. There're 3 tenders with red sauce and slices of pickles and a biscuit. 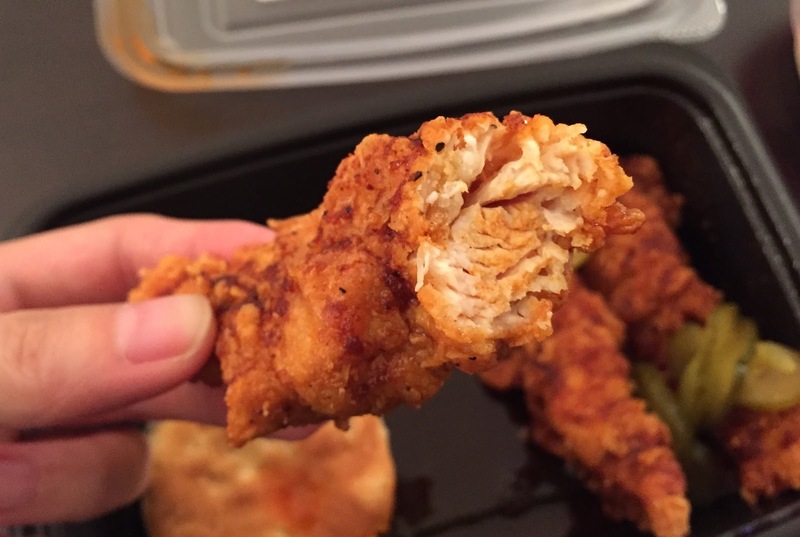 I thought the chicken tenders were cooked in a special oil, but my husband said the staff at the branch poured the hot sauce over the regular Extra Crispy Tenders. 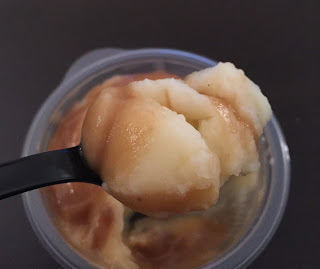 Before eating it, it had spices including garlic scent, and it's tangy, flavorful, and much spicier than I thought. The spiciness was enjoyable level and never too spicy, and the pickles kind of refreshed the taste pallet in my mouth when I ate it separately. As I mentioned, they poured spicy oil over Extra Crispy Tenders, it's quite oily and greasy. Even though I felt it's a fried chicken with even more added oil, the spiced packed oil was so good and addictive, and it's actually went well with the biscuit and even with the mashed potatoes and gravy sauce.